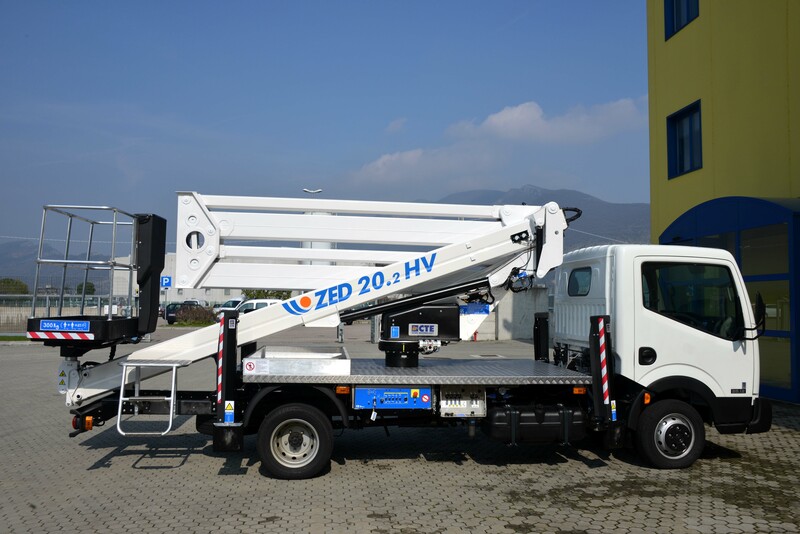 The new ZED 20.2, the updated version of CTE’s famous ZED 20 with increased basket capacity! Innovation in CTE born the ZED 20.2, the evolution of the ZED 20 with even more “tailored” performances for operators and more “work becomes easy” the CTE philosophy. As used in the most famous companies that deal with technology, “.2” is just to indicate the development, upgrading from the previous model, with the clear goal to aim then to continuous innovation. Thanks to the great experience of CTE technicians who use increasingly advanced building technologies and the latest materials such as Domex high strength 1200 steel. One working area with the full 250kg capacity. New ergonomic control panel in basket to ensure better visibility and ease of use, the controls are tilted towards the operator and protected by a new cover. New boom design with higher sections that reduce bending of the boom to make the platform even more stable at high altitudes.